As if breaking into the print medium wasn’t enough, I’m on the radio too. 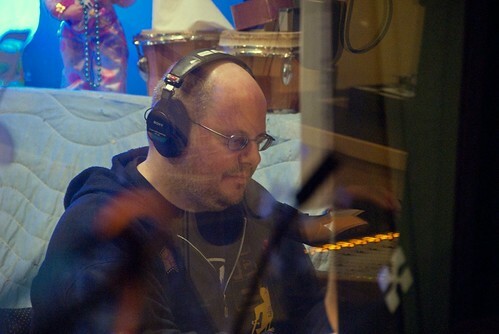 More specifically, the inestimable Brian Turner played some of my stuff on WFMU a couple weeks ago. Check the playlist and see (or listen) for yourself. Yeah, there was a little confusion regarding the name of the artist (Editor B) and the name of the album (A vs. B) but I’m not complaining because he did indeed plug the site. This might be a good time to remind the world that A vs B can still be had free despite its questionable legal status. Get it now before the Man shuts it down!